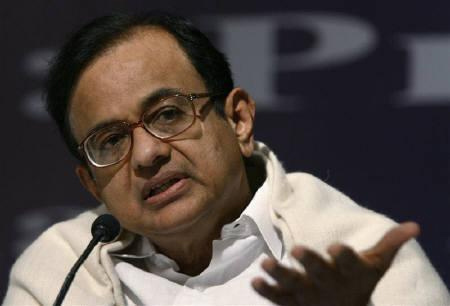 Former finance minister P Chidambaram on Tuesday said he had granted approval to the Aircel-Maxis deal "in the normal course of business." Chidambaram's remarks comes a day after the Supreme Court asked the Central Bureau of Investigation to file status report on the probe being carried out on various aspects of the Aircel-Maxis deal. During the brief hearing on Monday, Bharatiya Janata Party leader Subramanian Swamy had told the bench that he has received a reply from CBI stating that it was probing "all angles", including the FIPB clearance given to the deal by Chidambaram in 2006. Swamy had said the CBI should be asked to file a status report in the case. In his application, Swamy has alleged that Chidambaram had illegally granted FIPB clearance to the deal in 2006. He claimed that the former finance minister had given FIPB clearance to a deal that should have been referred to the Cabinet Committee on Economic Affairs, headed by the prime minister, as it alone was empowered to clear foreign investments of over Rs 600 crore. "The money transaction involved in the process was around Rs 3,500 crore. FIPB clearance was given by the then finance minister, who should have sent it to the CCEA as the investment was way over Rs 600 crore," he had said. In his statement, Chidambaram said FIPB consists of five Secretaries and that they examine the cases and recommend approval or rejection. They "apply the rules/guidelines" and submit each case to the CCEA or the finance minister depending upon the value of the investment, he added. "CBI has recorded the statements from every official who dealt with the case. Everyone, including the then secretary and additional secretary, has affirmed that the case was rightly submitted to the finance minister who was the competent authority to grant approval and that the approval was granted in the normal course of business," Chidambaram added.